A sleep apnea appliance can make a huge difference in the life of a patient diagnosed with obstructive sleep apnea, or OSA. There are several different types of appliances currently being used to treat OSA and new treatments are also in development. This is good news for the thousands of people whose sleep is regularly disrupted by this troublesome condition. OSA is a condition where the airway becomes blocked during sleep, causing the patient to stop breathing for a brief amount of time. These breathing disturbances can happen many times in one night, which can disrupt regular sleep patterns. If left untreated, the condition can even become life threatening as the duration of the breathing stoppage lengthens. For these reasons, it is imperative for anyone with OSA to receive treatment as soon as possible. One of the most common and most effective ways of treating the condition is by using a sleep apnea appliance. Most often, patients with OSA will use a Positive Airway Pressure device, or PAP. These are machines that use a mask, worn over the mouth or the mouth and nose, which provides a stream of pressurized air that prevents the sleeper's airway from becoming blocked. Depending on which kind of PAP machine you use, the stream of pressurized air may be continuous (CPAP) or intermittent (BiPap, bi-level positive airway pressure, and VPAP, variable positive airway pressure). Each of these machines has been proven to help relieve the symptoms of sleep apnea and improve the quality of sleep for affected individuals. The masks come in various shapes and sizes and can be custom fit to ensure maximum comfort. Considering An Oral Sleep Apnea Appliance? 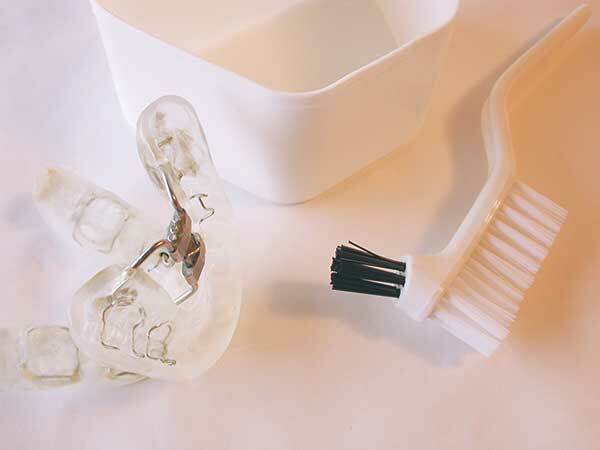 Aside from PAP machines, the most common form of sleep apnea appliance is an oral appliance. These devices, worn in the mouth much like a sports mouth guard, are designed to change the position of the jaw, moving it forward so that the tongue and upper airway muscles don't fall back against the throat and block breathing during sleep. Since they require no exterior tubes, these appliances are much less restrictive and more comfortable than PAP machines. Though there are oral appliances available for over the counter purchase, these are usually not recommended. Since the shape of each person's mouth is unique, it is imperative that the appliance used be adjusted to specifically fit the individual's mouth. This can only be done by having your dentist create an appliance and fit it to your mouth, making necessary adjustments over time as the shape of your mouth changes. There are many different styles of oral appliance and your dentist can help you to find the one that best suits your needs. And since a sleep apnea appliance falls under the category of general medicine rather than dentistry, purchasing an oral appliance and having it fitted is usually covered by most medical insurance. Sleep apnea is not something that you should take lightly as it can potentially be life threatening and even in the short term it can have a devastating effect on your health by constantly disrupting your sleep pattern. Fortunately, the answer to your sleep difficulties may be as simple as using one of the many types of sleep apnea appliances now available. If OSA is preventing you from getting a good night's sleep, talk to your doctor today about using an appliance to get the sleep you so desperately need.